Clayton Wire understands that people who have been badly treated at work or who are considering blowing the whistle on their employer's illegal conduct need protection. Clayton has dedicated himself to protecting his clients. He is a tireless advocate who earns his clients’ trust through hard work and dedication. While his practice is litigation-based, Clayton understands that avoiding a trial may sometimes be just as important as succeeding at trial. Clayton represents clients before administrative, state, and federal courts at both the trial and appellate levels. Clayton represents clients in various stages of dispute resolution, from counseling individuals on the proper avenues to voice their concerns, to commencing litigation on their behalf. When clients are faced with the complex maze of administrative and procedural requirements for whistleblower protection, Clayton guides workers and offers an analysis of the risks and benefits of the choices that confront them. In addition to representing workers, Clayton also assists those with claims for civil rights abuses outside of the employment arena, having litigated Section 1983 liability claims against municipalities, police departments, fire departments, and other public entities. Clayton was the lead appellate attorney in a precedent setting victory for corporate whistleblowers before the Tenth Circuit, establishing a whistleblower friendly protected activity standard. Genberg v. Porter, 882 F.3d 1249, 1255–56 (10th Cir. 2018). Clayton was trial counsel for the family of a police officer who was shot and killed by a fellow officer, litigating claims on behalf of the deceased officer’s estate against the shooter, his supervisors, and the city for violations of the deceased officer’s constitutional rights. This matter resulted in a wonderful $3.5 million settlement for the deceased officer’s family. When a mortgage company employee blew-the-whistle on fraud against government entities, Clayton litigated the retaliation claims and achieved a settlement days before trial. When a physician blew-the-whistle on inadequate patient care and potential violations of Medicare and Medicaid reporting requirements, Clayton represented her and played a crucial role in achieving a favorable confidential settlement with her large institutional employer. When an in-house attorney at an international company blew-the-whistle on violations of the Foreign Corrupt Practices Act and other illegal activity, Clayton represented the attorney in extremely contentious multi-million dollar litigation, playing a key role in protecting the client from retaliatory counterclaims for using company documents and information. As a result of the tenacious representation provided by Clayton and his colleagues, the attorney was able to achieve a favorable confidential settlement. When an executive in a start-up company was terminated without compensation or the stock grants he was promised, Clayton represented the executive through litigation and a favorable confidential mediated settlement. Clayton was the lead appellate attorney before the Tenth Circuit Court of Appeals in a Section 1983 liability case against the Grand Junction Police Department, representing a courageous woman who was raped by a GJPD Officer with a record of sexual assaults. Schneider v. City of Grand Junction Police Dep't, 717 F.3d 760 (10th Cir. 2013). Clayton attended law school at the University Of Denver Sturm College Of Law, where he graduated in the top 10% of his class. While attending law school, Clayton served as Editor-in-Chief of the globally recognized Denver Journal of International Law and Policy and was the recipient of multiple scholarships. While in law school, Clayton interned at the Colorado State Public Defender’s Appellate Division. After graduating with honors from the University of Denver, Clayton clerked for the Honorable Nancy J. Lichtenstein of the Colorado Court of Appeals, Clayton then joined Starrs Mihm, LLP, a widely-respected boutique litigation firm in Denver, Colorado. 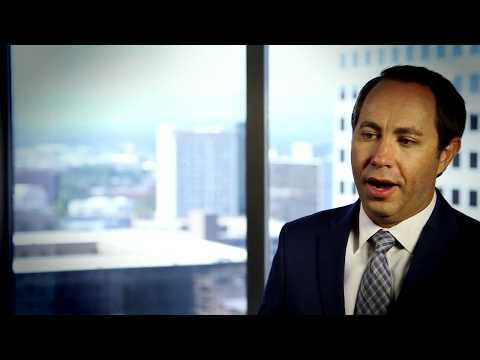 Clayton is an elected officer of the Colorado Plaintiffs’ Employment Lawyers Association (PELA), and sits on that organization’s Legislative Committee. Clayton is also an active member of the Colorado Trial Lawyers Association (CTLA), and sits on that organization’s Employment Law Committee. As a representative of PELA and CTLA , Clayton has testified before the Colorado General Assembly regarding the expansion of remedies for victims of discrimination. Clayton has been elected President of the Colorado Plaintiff Employment Lawyers Association (PELA) for 2017. PELA is the only bar association dedicated to advancing advocacy for Colorado workers victimized by unlawful employment practices. Clayton has previously served as Treasurer and Outreach Officer for the organization. Clayton will continue to focus his practice on the litigation and trial of Civil Rights, Business Torts, Whistleblower and Qui Tam cases. In addition to advocating for and counseling clients, Clayton is an author, having published several articles in bar organization publications in Colorado, New York, and nationally. Clayton has also published chapters on Social Media and Employment Law in Lawyers’ Professional Liability in Colorado, 3rd Ed. (CLE in Colorado, Inc.). Clayton is also the founder and sole author of WhistleblowerBlawg.com, a blog dedicated to reporting on and analyzing the legal aspects of blowing-the-whistle on wrongful conduct. Clayton is a native Coloradoan, who grew up in the state’s northern mountains. Clayton’s childhood was anything but typical, growing up on his family’s subsistence farm and ranch, which has equipped him with problem solving skills and tenacity for getting the job done. Clayton is an avid golfer. He looks forward to raising a family with his wife, Rachael, their new son, Jackson, and their Border Collie, Ellie. Clayton’s Twitter feed, @claywire, is dedicated primarily to employment law and whistleblower related issues. Clayton maintains a blog, WhistleblowerBlawg.com, which is dedicated to reporting on and analyzing the legal issues involved with blowing-the-whistle. Represented in-house counsel terminated for blowing-the-whistle on employer’s fraud and illegal conduct. Represented physician who was terminated in retaliation for blowing-the-whistle on patient care problems and potential violations of Medicare and Medicaid. Achieved favorable settlement of claims on behalf of start-up company executive who terminated and squeezed out without compensation. Victory in Colorado Administrative Court on behalf of teenage girl subjected to sexual harassment by the general manger at her first job. Clayton Wire elected Treasurer of Colorado Plaintiffs Employment Lawyers Association. Author of chapters about Social Media and Employment Litigation in the treatise Lawyers’ Professional Liability in Colorado. Presentation to PELA on the anti-retaliation provisions of the Affordable Care Act. Taught Constitution Day curriculum to elementary students. Participated in Just Vote Colorado election day call-in center for voter participation issues. Pro-bono work on various matters ranging from employment disputes to discrimination claims. Clayton Wire and Ogborn Mihm Nominated for 2016 Case of the Year Award for Advocacy in Davies v. City of Lakewood et al. Civil Rights Case.